AKIPRESS.COM - Ferghana and Bukhara regions hosted launch events of the Additional Financing to Horticulture Development Project. Under the new phase of the project farmers and agribusinesses from across the country will continue to receive the technical and financial support, leading to the creation of thousands of new and better-paying jobs, increase productivity and profitability of beneficiaries from the horticulture sector. The project worth of US$ 500 million was approved by the World Bank in January 2018 and became effective in June 2018, World Bank reports. On August 28-29, 2018, the World Bank (WB) Country Office, the European Union (EU) Delegation (that is a project partner) and the Rural Restructuring Agency (RRA) paid working visits to Ferghana and Bukhara regions. They participated in the launch events of the Additional Financing – Horticulture Development Project involving households, farmers, farmer groups, private enterprises, agro-firms, and agro-processing enterprises operating in the horticulture sector in these regions, as well as officials of local commercial banks participating in the distribution of loans under the project. The event participants were informed about opportunities provided under the new phase of the project to increase the horticulture sector’s productivity and exports. 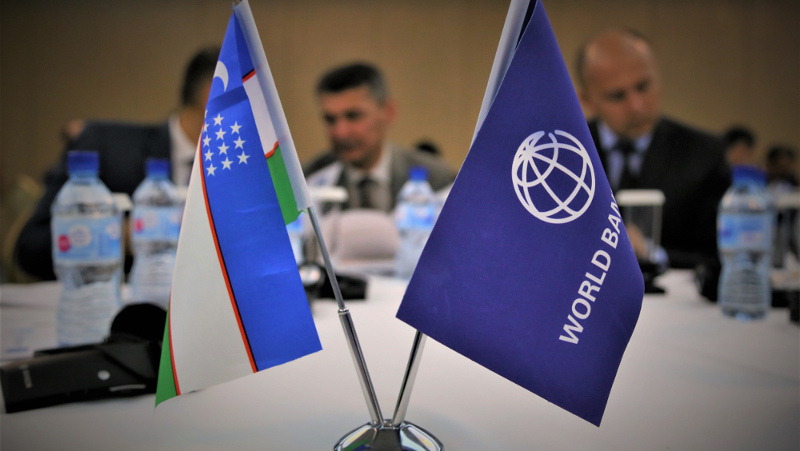 In Uzbekistan, the World Bank is supporting the implementation of 18 projects, totaling over US$ 3.3 billion. These projects contribute to macroeconomic reforms implementation, the improvement of agriculture and water resources management, energy, transport, healthcare, education, urban development, water supply and sanitation services, which support the country’s economic growth and higher living standards.